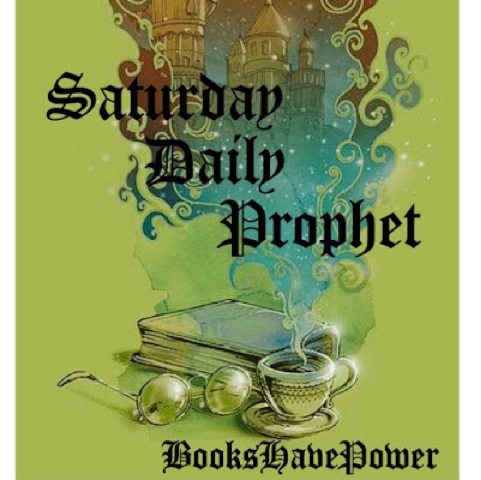 Saturday Daily Prophet ... Reading Slump tips. We are going to discuss my latest reading struggle "Reading Slumps". I hate them. They are the worst. And come at the most inconvenient times. So here are some tips that may help you get through one. 1. Try reading a new kind of book. Sometimes reading the same genre or type of book can get boring. So switch it up. 2. Browse Goodreads to find new books. 4. Discussing books with friends. 5. Re-reading books you love. 6. Blog about last read book. It may get you in the mood to read the next one or read a book like it. 7. Buy a new book. 8. Try a new style of reading. If you normally read physical copies try Ebooks. 10. Don't put pressure on your self to finish a book. Hey guys! It's Jordan here (@FridaysAndBooks on Instagram), and I'm just realizing that I don't think I've ever actually posted myself on this blog! Usually I'm more of a behind-the-scenes worker as far as the blog goes. However, now that we have switched from SSS posts to the SDP, I'll be posting every third weekend for sure! :) That's exciting, right? 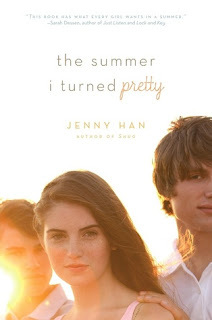 Okay, so I was browsing Instagram a few days ago, and I saw a book tag that I really liked! It's the top five heroine tag, and since no one actually tagged me to do it, I'm sharing it here and tagging myself! If you yourself like this idea, feel free to call yourself tagged and post about it! Are tags a thing in the blog world? I don't know. I'm kinda new in this area. Anyway, I had a hard time deciding on my favorite heroines, because I've read a lot of amazing books with awesome female characters. But, life always forces you into making decisions. So, continue reading to see my (in no perticular order) picks! I read this series awhile back, but I remember that Vin was great. Cool superpowers, ninja reflexes, goes from street rat to queen, and doesn't lose sight of the end game. Plus, she gets to marry her dream guy. Not bad. As one of my favorite dystopian stories, I had to include June! She might be younger than a lot of other heroines out there, but that doesn't mean she isn't awesome. June fights for what she believes in, but is also able to adapt her beliefs. When she finds out that her government is evil, she becomes totally badass fighting with the Rebels. I'm a big fan of hers. I'm new to the HP fandom, but I think I love Hermoine for all the reasons everyone else loves her. She is smarter than all the boys, and she doesn't feel guilt or bad about it. I wish every girl would be as confident in her intellect. Being smart and using your skills as amazing things that shouldn't be toned down just to fit in or please some guy's ego. What can I say about Tessa? She appreciates music, books, was independent before her time, and can fight evil all while wearing a hoop skirt and winning the hearts of Will Herondale and Jem Carstairs. She's my hero. 5. Celaena Sardothien from the Throne of Glass series by Sarah J. Maas. Celaena was the greatest assassin in her entire kingdom before she was out of her teenage years. Most of us are still trying to figure out how to wear our hair and what eye shadows compliment our skin tone in our teen years. I lover her drive, her passion, and I also kinda love her ruthlessness in some situations. Sometimes it's better to act and ask questions later. So, there you have it! If you agree, disagree, or have your own favorites to share, comment down below! Saturday Daily Prophet Brought to you by Abbey. Saturday Daily Prophet is brought to you today by.. Okay guys we are shaking it up little bit. So SSS is going to be changed to SDP.. Saturday Daily Prophet and the other girls and me are going to take turns bring it to you. So lets get started. I was able to Interview the lovely Shelly Muncaster. There is more about her below then are interview. Please read and share there is a lot of good information on publishing and writing. I also added what I have been reading this week. 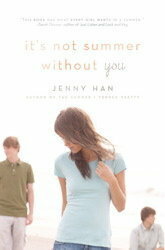 So this week I have been reading the Summer Trilogy by Jenny Han. Hi my name is Shelly Muncaster and I am 22 years old. I live in Sydney, Australia and currently I am in my fifth year of university studying a double degree of Law and Finance. I live and breath writing and I will continue doing it for the rest of my life. I started my blog Keystrokes & Closed doors in order to motivate myself to finish my book, to meet other writers and to support emerging authors. This is what I am passionate about and there is nothing I would rather do. 1. How to write better? There are many ways one could write “better”. For instance, better by way of deeper characterisation or plot structure, or through sheer technical skill of writing words themselves or the cohesiveness of your writing. For this question I will refer mainly to improving your writing style and skill. This is just a guideline and not a set of steadfast rules, because in writing there are no rules merely suggestions! I will tell you all the tings I do to help improve my writing skill and instil clarity in my stories. The only way to write better is to write. That is the honest truth. It is like any skill such as practicing a martial art, dancing or drawing. You should try to write everyday if you can and don’t feel daunted because it doesn’t have to be much. I suggest 300 words a day or if you cannot do everyday, I recommend not going over two days without writing. This is because any longer than that motivation to write begins to dwindle and for me, I find that sticking to this rule has taken me further in my writing. Another thing you could do is to try my flash fiction technique (http://www.keystrokesandcloseddoors.com/hocus-pocus/how-to-beat-writers-block-flash-fiction). If you don’t know what this is it’s a mini story of 300-1000 words. I prefer 300-400 words, as this is a real challenge! You pick a random topic or even have someone else think of it for you. Give yourself 5 minutes to plan and 10-20 minutes to write. Then start writing a story within the word limit and make sure that your tale has a beginning, middle and end. Make sure it is clear as well, in terms of characters and plot. This is hard to do under pressure and you will see that most attempts will be terrible, but eventually if you do this more and more, you will become more switched on and you will start presenting your ideas in a more clear fashion. I suggest keeping all your attempts and dating them, then after a few months or a year look back at all of them and see how far you have come. This helps so much when writing a novel, because less is more and flash fiction teaches you that. 2. First steps of self publishing? A. Get your manuscript edited: one thing about self-publishing is that everyone can do it. This is both a good thing and a bad thing. In order to make your book stand out you must ensure that it is at the standard of a normal book publisher. To do this you need an editor to go over your manuscript and make sure everything is at a standard it needs to be. They will check for spelling mistakes, irrelevant scenes or plot points and will make sure you don’t have a saggy middle. B. Hire a graphic designer for your book cover: it’s all about promotion, I am sorry to say. How many times have you bought a book just because of the pretty cover? I know that I have (Red Queen, to be specific). If you want your book to be professional and people to take you as a seriously, you must hire a graphic designer to make your book cover and back. You can find them on social media or the web, but always ask them for samples of their work. Then once you have completed these steps you can create an account on Amazon and Smashwords without fear, pay a fee and upload your document. BOOM! You have a book. These two companies have platforms that allow you to have you self-published book printed which is really cool as well. Oh I love this question. It is my favourite! Character development is the most important thing you should do when writing a book. It is in fact the first step to take when planning out your story. You need to get to know your characters inside and out, as they are the ones driving your story. You should start off by giving them a backstory and do not be afraid to go deep into their past. Then get to know them as a person; what events in their childhood shape their lives? What are their innermost thoughts and feelings? Getting to know your characters helps overcome every issue you may have in writing your book such as plot holes and unrealistic dialogue or unnatural reactions of events. If you are missing chunks of your book, just think about what your character would do and let him or her show you. Developing your characters is imperative, for instance books which do this well are Anne Rice’s The Vampire Lestat and one which does not is (I know I will get backlash for this) Red Queen by Victoria Aveyard. · Interview your character. You can find such questions on Google. · You can also examine your own mind and what part of you they come from. · Write down a few things that the reader will never know about your character. This will naturally seep into your words and create greater depth. 4. Tips for getting in contact with publishers? There are two ways of getting into contact with publishers. Publishing houses used to be very particular about how they got into contact with authors and never interacted with them if they did not have a literary agent. In order to give yourself the best chance at getting noticed by a publisher, you will need to secure an agent as they have contacts within the publishing domain. You can find one online by searching for literary agents in your country and applying to them by email. Follow their criteria very carefully as you only get one attempt to impress them and be sure that you only send it to relevant agents for your genre. The other way to get in contact with publishers is via their website. More and more they are allowing unsolicited documents to be submitted to them directly on certain days of the month. This has its positives and negatives, first of all your manuscript gets into the hands of the publishers, however it is added to a slush pile of other manuscripts by thousands of other hopefuls who have applied. 5. Most important things to practice when writing? · Writing every day is very important and helps you, not only get things done, but also enables you to be a better writer. · Organisation is the key (in my opinion) to being a great writer. Plan your story as much as you can and you will see the whole thing come together. When you see your story unfold, you will be motivated to finish. · Enjoy the process because writing is such a magical experience. Do not get bogged down on the grammar, remembering the characters names or stressing if your writing is not good. Someone out there will love what you are doing, but most importantly you should love your work and your characters. 6. How to create a writing habit? I will tell you what works for me. I found these very cool excel sheets, which are not only really cool visually but keep track of your writing progress. It helped me go from writing once in a blue moon to almost every day. You must write down your target word count for each month and as you write more of your book each day you record how much you typed down. The program makes a graph to show you your progress and indicates how many words left before you reach your goal. I do something a little extra which motivates more so much. In the comment section I note down my excuses or feelings as to how much (or little) I have written for that day. On the days I do not write I mention why and it really gives me perspective, as well as makes me feel accountable. Also, by putting those excuses in the side column it makes you want to strive to do better and then you do by writing more. You can find these on my blog http://www.keystrokesandcloseddoors.com/hocus-pocus/writing-tips-using-nanowrimo-excel-sheets and as a tip 10,000 words a month is manageable. First and foremost, never ever give up on your dream and do not prevent yourself from acting out what your heart wants! There will be nothing but happiness when you look back in fifty years from now and you say to yourself that you gave it a go. However, if you do not give it a go, you will always wonder and be filled with regret. In more practical terms, always get a betareader and a professional editor to read your work before submitting to a traditional publisher or if you are self-publishing. You need to know that your story is interesting, makes sense and is professional. If you need help with these things, do not hesitate to contact me at keystrokesandcloseddoors@outlook.com as I am capable in both capacities. I love helping emerging authors get their voices heard! Sixteen year old Emersyn Moore spends her summer days working part-time in a book store, enjoying her next read, and hanging out with her best friend, Brianna. She also spends a lot of time admiring Brianna’s older brother, Kaden, who has made it clear that he sees Emersyn as nothing more than a sister. Emersyn concedes to her sisterly role, keeping her feelings to herself, as well as the fantasies she knows will never become reality. However, when Kaden is involved in a disabling accident, everything changes, including their relationship. Will it tear them apart, making her long for the sisterly role she’d always despised, or will this life altering experience bring them closer together, forcing Kaden to see her in a new light? Only time will tell. Time. They say it will heal all wounds, but Emersyn knows that’s a lie. Some wounds never heal, which is evident every time she looks at Kaden. 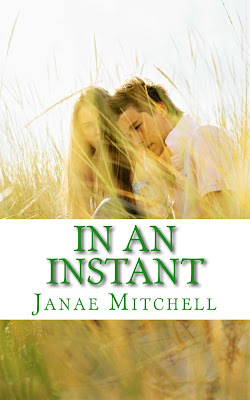 "In An Instant is the one story that has come from my heart more than any other book I've written. Kaden, one of the main characters, suffers injuries that most would think would make life unlivable, at least to the point where a normal life would never be accomplished. However, my nephew suffered the same fate in a similar accident, and even though his life's story is totally different than Kaden's, both lives give me hope. Every time I see my nephew smile, it's like a rainbow, letting me know that the storms of life, as severe as they may seem, are only temporary. The sun will always return, and it's up to us as to how we're going to enjoy it." 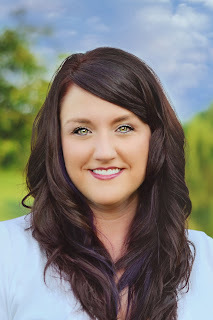 Janae was born and raised in East Tennessee, where she currently resides with her husband, two children, and their hairless dog, Dobby. In her spare time, she likes to read, play tennis, and spend time with her family on the lake. Ps. 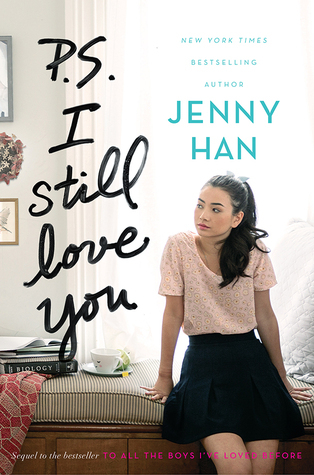 I Still Love You by Jenny Han Review..
Jenny hans books and this is only the second that I've read of hers, is so well written! 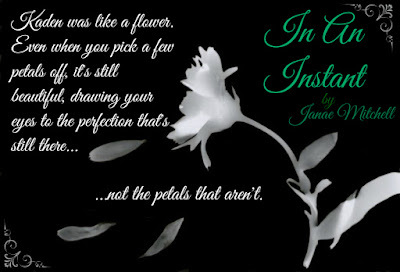 She makes you fall in love with the characters and makes you annoyed with them at the right twist and turns. I read the first one "To all the boys ive loved before." And with that cliff hanger of a ending, i just had to get the second book as soon as it released. Now, getting to the nitty gritty. I had trouble with the first 20 pages compared to the first book i blew through in hours. I loved the minute john stepped into the picture. And learning more about him from their past to where they were now was such a pleasure. I liked Peter, But i fell hard for John. This book had so much cuteness, romantic little jesters that kept me wanting more after like i said the first 20 chapters or so. The character development i was happy with and the connection they all had together fit really well. Especially when Lara started working at the nursing home and meeting stormy who is so funny! All in all. I would love to see further installments! For such a funny, easy read, light and sweet enjoyments that you get from this. I defintely recommend everyone reading these. I begin to take my final step forward, feeling the urgency of what I know I should do, but I immediately think of who I will be leaving behind. If I go I won’t be able to say goodbye. I won’t be able to tell him that I love him. I want to tell him that I’m sorry for what’s going to happen to me, and beg him to forgive me for what I’m about to do. Tears begin to filter from my eyes as I realize there is no other choice. Perhaps I will finally know why I have been given this gift of seeing into the future. Accepting that this is my lot—my final end—I take a deep breath and run to the boy. As I do, I block out everything and everyone that I love far from my mind. Time has run out for me. Don’t think, Bre, just go. Lost, the electrifying sequel to The Awaken series, will draw you deeper into the world that Bre is beginning to unfold. This riveting novel will prove that true love comes in many forms, that deception is all around us, that the secrets of our opposers are often hidden in plain sight, and that the world in which we dwell holds more than what we see on the surface. 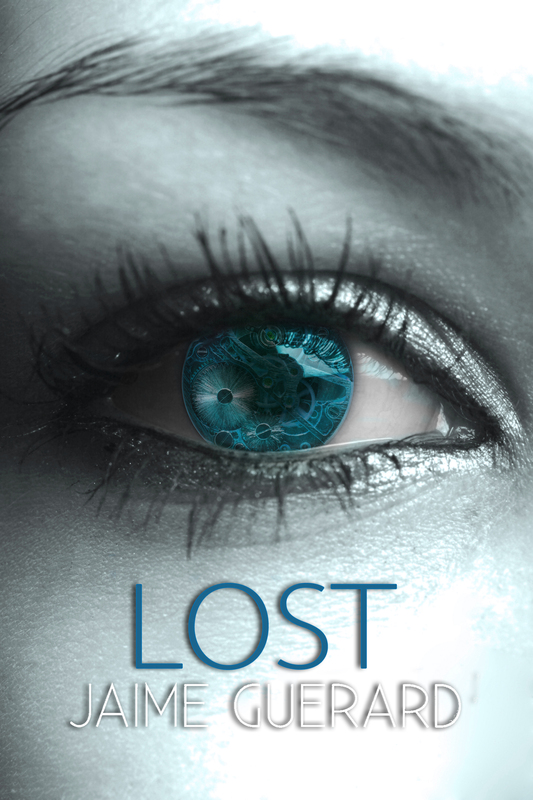 LOST is the sequel to AWAKEN in the Awaken Series by Jaime Guerard! 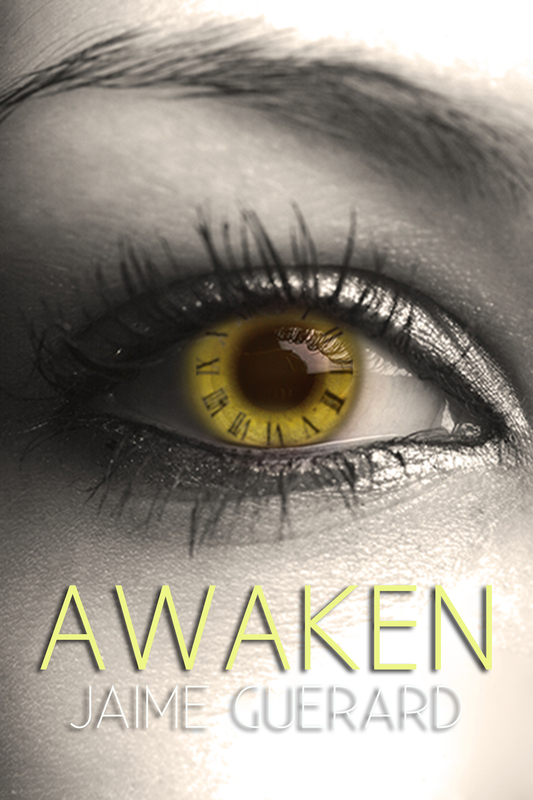 See what readers are saying about AWAKEN! AHHHHH! My SSS post is late, but it’s late with love. I finally listened to this idiot who told me that I should giving writing a shot. He believed in me when no one would, and believed in my writing when I chose not to. That idiot changed the way I thought without even knowing. WE ALL NEED FRIENDS, EVEN IN OUR DARKEST MOMENTS OF LIFE. YOU NEED A FRIEND, NOT SYMPATHY, PITY, OR EXCUSES. BUT AN ACTUAL FRIEND, WHO'LL LISTEN WHEN NO ONE WILL. Who's not an intruder, but a someone. A person whom you haven't spoken to in months, but is easy to catch up with no explanations needed. Who puts up with your shenanigans that most people would push away. Friends like this are a rare find. They exist. They live on without you, but you'll never forget what they taught you. Hold onto them and never let them go. Never. The only problem that you faced as a child was debating which color crayon to use next. No one gave you a hand-out on what to expect in life. The schools that you’ve gone to would never prepare you for the big bad horrors of life. No Youtube videos or how-to tutorials would teach you how to properly handle life. Instead the world watched you fail over and over again. Your shaded past made you the person you are today. This was one of the many side effects of life. You’ve watched the media deliberate about the warfare that swept across the nation. However, the real warfare they never warned you about, that’d screw you over either way, are the thoughts that wonder through your mind. The one truth you’ve held onto deeply, was feeling every emotion intensely. You were never asked if you wanted to grow up, instead you were simply forced to grow up. You, unprepared for the battle that you had yet to face. You refused to accept the tainted nightmares of life, and life refused to accept you. You were different and that was all you ever could be. Thank you, Cynthia for correcting my little blob. *blows kiss* I have a burning idea for a novel. The current state of my “novel-in-progress” is in bullet points and scribbles. 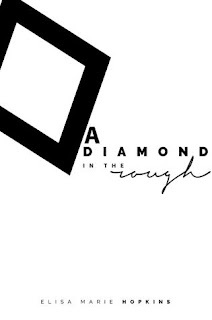 A Diamond in the Rough (ADITR) is a beautifully written debut novel with an unexpected twist. Not only was the book moving, but it also made you think about what we’re capable of as people. What really threw me off was the ending! In the book you’ll meet model Sophie Cavall; she’s bold and daring. 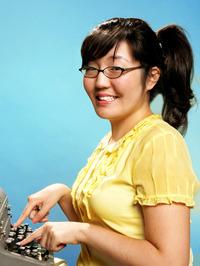 Sophie’s character progressed and developed as the story continued. We tend to forget that models are human too. They have feelings, struggles, flaws, and insecurities. Although, they may not show it, they too feel every emotion intensely. Eliza did an amazing job with captivating the life of a model. She kept the readers on edge with every turn of the next page. My stomach flipped and flopped as I read Sophie’s relationship with Oliver. Oliver Black drives me insane! Watch out Sophie I’mma steal yo man!